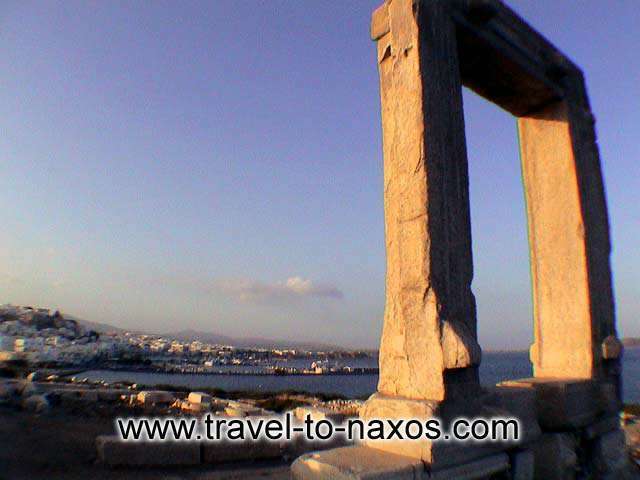 The first view of the visitor, before disembarking to the island is that of "Portara". 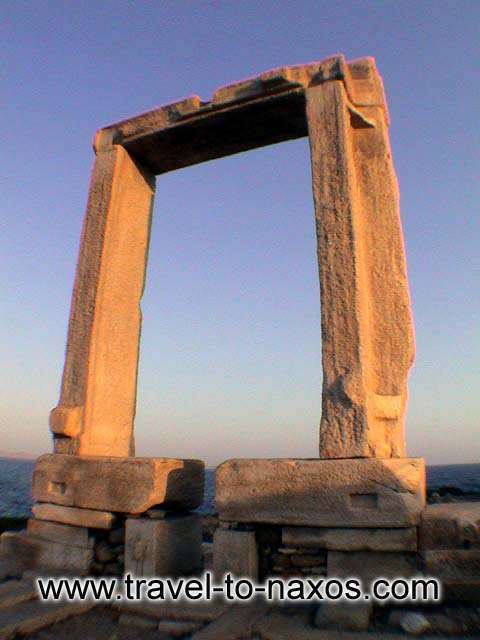 The ruins of a temple dedicated to Apollo are preserved around Portara to this day. 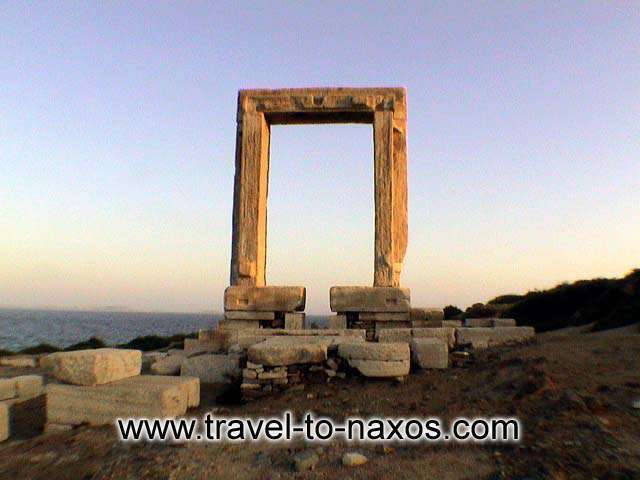 Its construction started the 6th century BC during the rule of the tyrant of the island Lygdamis, but was never completed because he was exiled by his people in the mean time, after the lost war with the tyrant of Samos. 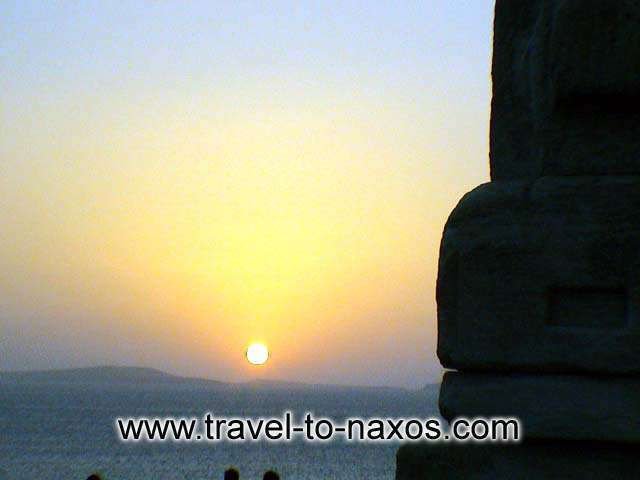 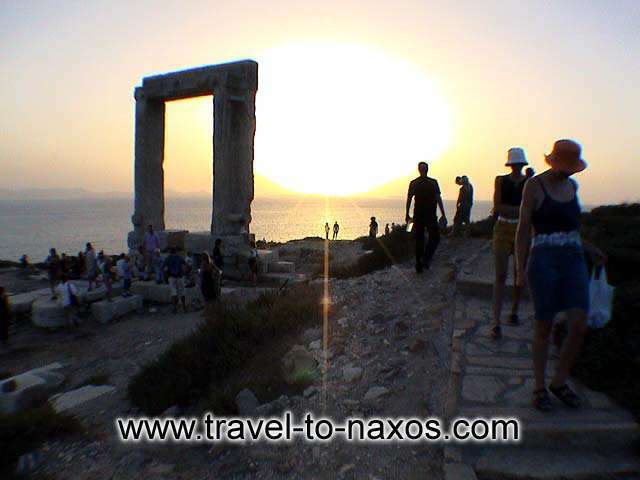 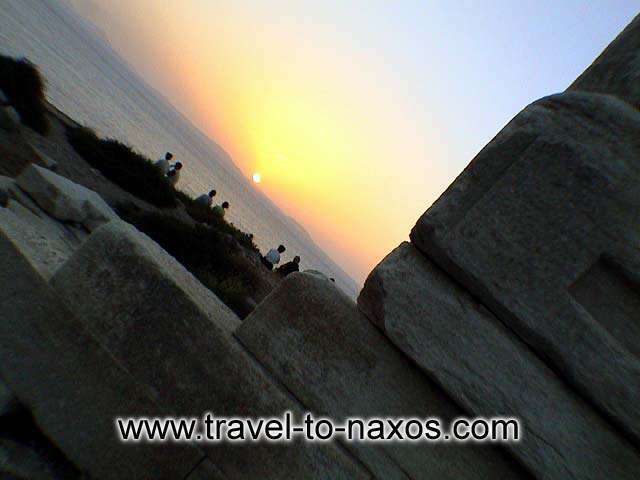 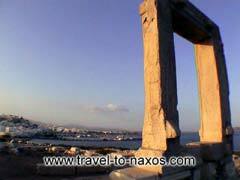 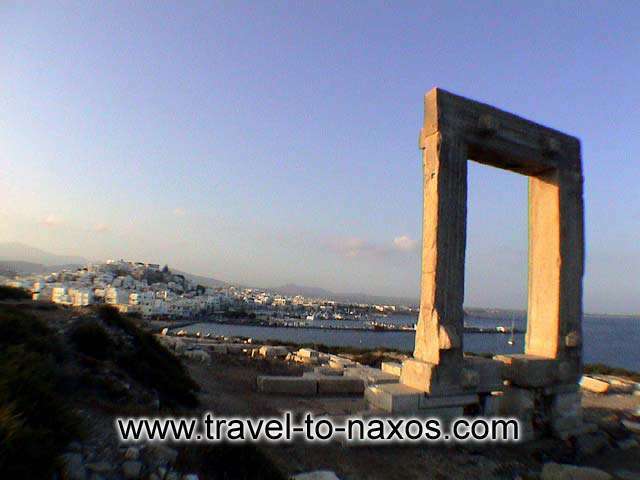 A lot of people like to connect the temple of Apollo to Dionysos as they don't forget that Naxos is the home of Vakhos and the island where Thisseas deserted Ariadne full of sorrow until she found comfort next to Dionysos. 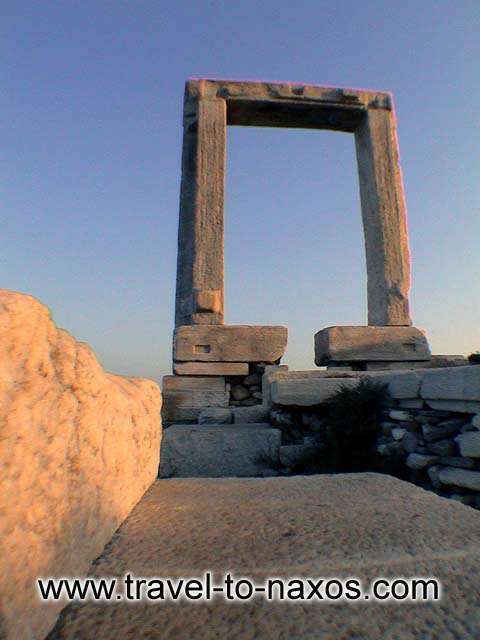 A lot of the oldest parts of the temple were used by Marko Sanoudo furing the Venetian rule as building materials for the castle. 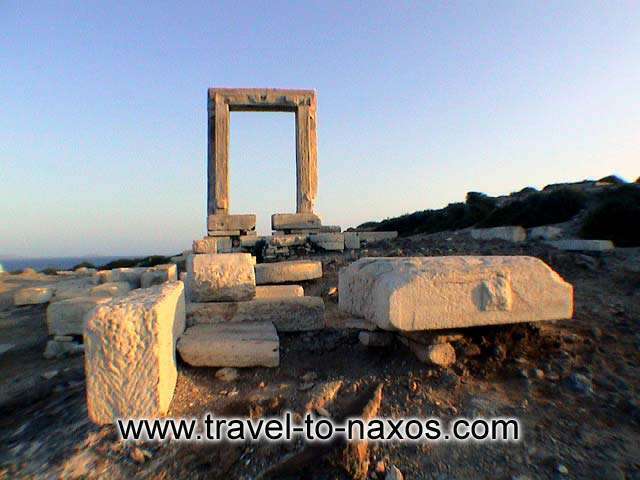 Above and beyond the archaeological significance of the "island of palaces" Portara is one of the unique spots of Cyclades for a visitor that wishes to enjoy a magnificent sunset and stare at the surrounding widespread islands of Cyclades.